Everyone heals differently and no two tattoo applications are the same. The ink goes deeper into the skin and can take three to five or more days to heal. You should continue to massage (we use Epionce Medical Barrier Cream) several times per day unless it is crusted. Then use an ointment such as Calendula or Aquaphor. Applying a tattoo does cause injury to the skin. Be patient. 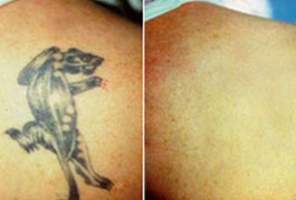 Answered by Brooklyn Laser Tattoo Removal, Inc.
We are removal experts, not tattoo experts. We have seen some people have raised skin temporarily(say a few days later), while other have skin that is raised permanently.